During my childhood I was exposed only to religious custom, traditions and beliefs. This was between 1937-1950. When I entered college at Guntur town in Andhra, India, I come across two persons who influenced me. 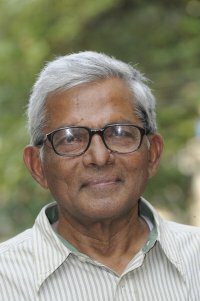 One is Yelavarthi Rosaiah, my teacher in English at Andhra Christian college, Guntur and another Avula Gopala Krishna Murthy (AGK), a humanist and follower of M .N. Roy`s Radical Humanism. They introduced to me the literature of M.N.Roy, R.G.Ingersoll, Charles Braudlaugh, and B.R.Ambedkar. That was a turning point to see the rational outlook in life. Then came Professor A.B.Shah whose book Scientific Method had great impact on my life and thought. I translated it into Telugu later. Prof Shah was systematic in exposing ideas and he was a great teacher in humanist study camps. His critical outlook towards alternative medicines like Ayurveda and Homeopathy impressed me. The alternative medicines must prove themselves as scientific, which practitioners of these systems still refuse to do under some pretext. I had come across several humanist, atheist, agnostic, and skeptic leaders in India with whom I had personal rapport. They are Gora, the atheist leader, Abraham Kovoor, the great challenger of cult babas, Premanand the great debunker of frauds of holy mathas and babas, Abraham Solomon, the secularist, Justice V.M.Tarukunde, Prof Sibnarayan Ray the intellectual follower of M N Roy, Premnath Bazaz the great critique of Gita, V R Narla the editor and journalist under whose guidance I worked in Andhra Jyothi, the Telugu daily, Ms Indumati Parekh, and others. All these acquaintances helped me to develop as a humanist and at the same time apply thought to action in life. Gradually I have come across several thinkers from the west whose thoughts and writings convinced me to grow as a humanist. They are: Carl Sagan the great astronomer with whom I had personal rapport in USA and his book, The Demon Haunted World, is a wonderful guide for all students. His Cosmos is a must-read for all persons especially students. Then I come across Dr Richard Dawkins, the great evolutionary biologist from Oxford whose bestseller God Delusion I translated into Telugu with his permission. Then I met Mr Sam Harris and Christopher Hitchens, whose books Letter To Christian Nation and God Is Not Great respectively I translated into Telugu. Another great person and good friend of mine is Prof Paul Kurtz ,who encouraged me to establish the Indian wing of Center for Inquiry. His books are very humanistic and rational. I translated couple of them into Telugu. I met late Gordon Stein who edited the Encyclopedia of Unbelief in which I contributed article on Indian humanist thought. Later Tom Flynn brought out its latest edition - New Encyclopedia of Unbelief - in which I contributed three articles at his request. They are all good rationalist and humanist friends whose friendship made me a strong follower of humanist thought. My humanism includes rationalism, skepticism, atheism, and secularism. All religions and all gods are human creations. But humans succumb to their own beliefs and blindly follow their own superstitions. The priest class utilizes that weakness of humans to their advantage and perpetuates the religions. 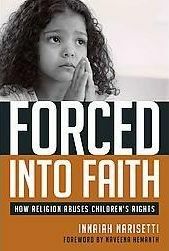 Children are abused by all religions since all are inculcated with parents’ religions as soon as they are born. Thus religion was made hereditary and that is the root cause of all evils. I met Ibn Warrak who wrote the book, Why I Am Not A Muslim and we became friends. I translated that work into Telugu. I also met Taslima Nasrin in 1994 and we remained friends. Muslim world and Islam did great harm to her instead of improving their value system as advised by her. All religions use science but at the same time abuse scientific values for blind beliefs. Only humanist and rationalist scientific outlook gradually change that attitude. Thus I became humanist and remain as such.